Busy people (like me) are able to procrastinate in pretty nearly every area of life. Cutting back on my work schedule allows me the opportunity to look for these “put off” things and experience the wonderful satisfaction of getting them done after months of having them on the “to do” list. If you have never gone through this cycle you are missing out. Having made great headway scheduling my “every 7 year” physical exam, this morning I turned to the oneacrewoods, which has been… well, neglected at best. If you don’t love nature, gardening, dirt and sweat go read somewhere else right now because you won’t understand. It’s the compost bin. The compost bin is where you can put all your vegetable scraps, lawn clippings, leaves, etc… in the hope of making new, rich soil. Presumably you are making this soil to put somewhere else where the ground needs improvement. However, if you never do anything but put stuff in the bin, there is not much point in doing it. Ideally it should be fluffed up, turned over and watered once in a while too but I never get around to that. 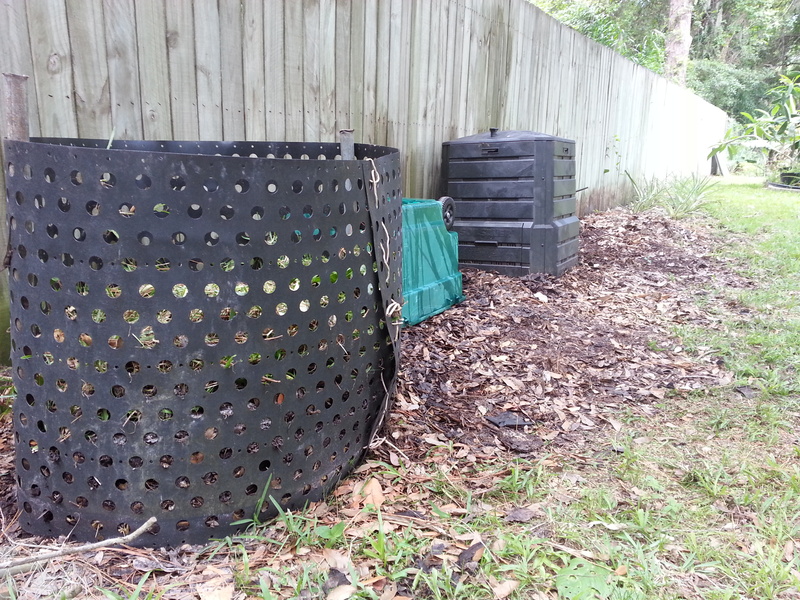 And because I have such a big yard I actually have two compost bins to play with. Lately they have been looking full. I can’t remember that last time I emptied them. It’s a nasty job. Did you know that cockroaches fly? Did you know that some of them are actually white like albinos? They love, love, love compost piles and when disturbed they take off in flying, jumping swarms to find some new place to hide (up a pant leg, under a shirt collar, in hair, aaaghh!) I have absolutely no cockroaches in my house and I think it’s because I provide this much more favorable place for them to live. I think of it as pest control. I chopped and shoveled through both my bins (after the roaches left) and there was some pretty good soil in there. I added it to my small garden area which is fallow – fancy word for nothing growing in it – because we are already in the hot season here. Lots of things do grow in this season but not many traditional vegetables. I’m preparing for September when it cools off. One more thing off my list, and truly, it was so beautiful outside this morning that I didn’t even mind the roaches, much. Compost bins after being emptied. No “before” shot – too gross. 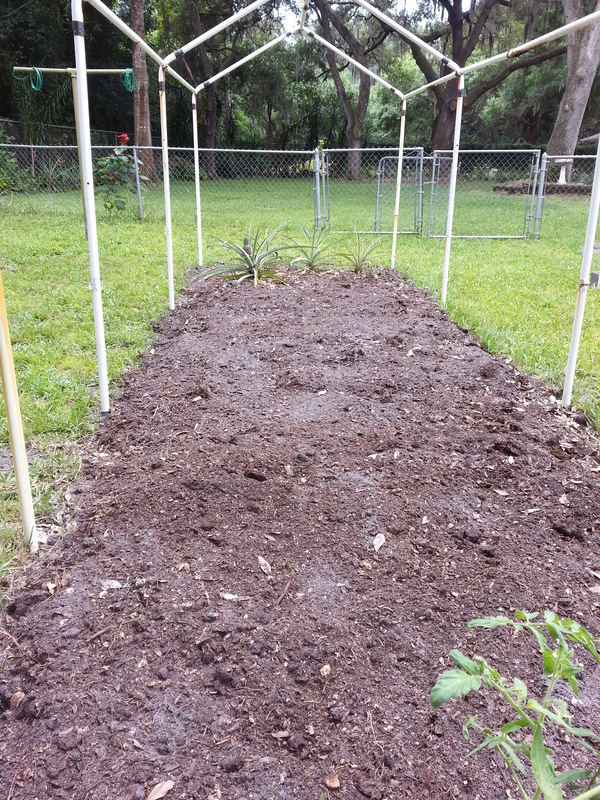 New, rich soil layer on this bed. 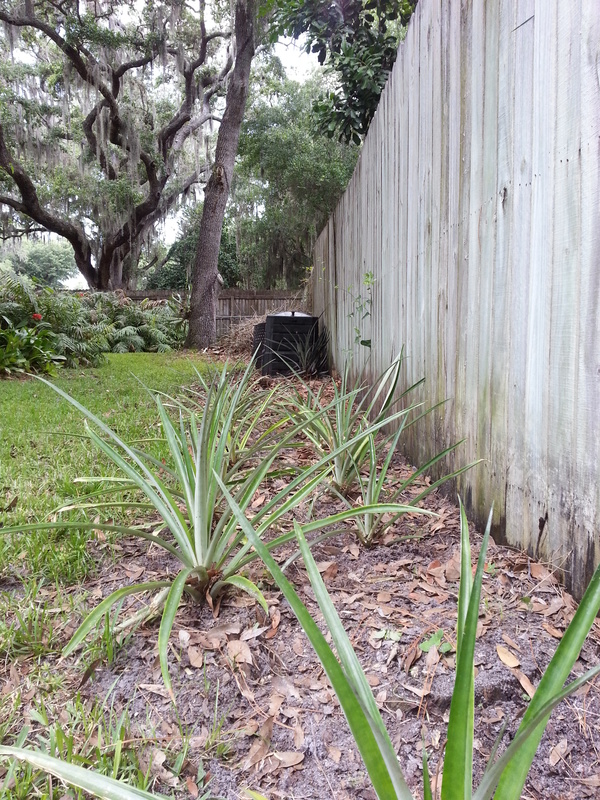 Pineapples are about the only thing growing now that we will be able to eat. I love gardening. Haven’t been able to do it for awhile but love it! I have never, ever done a compost bin. I should give it a try….but I wouldn’t want it up close to my house if there are cockroaches. Yes, try it and yes, definitely away from the house.